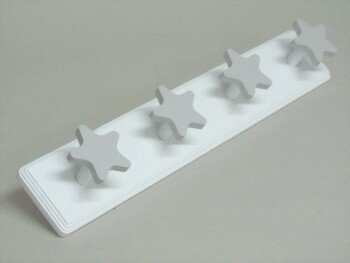 White lacquered wall coat rack with Star-shaped hangers in Gray. If you prefer another color (Blue, Pink or Beige) for the stars, please indicate this in the comments section of your order. 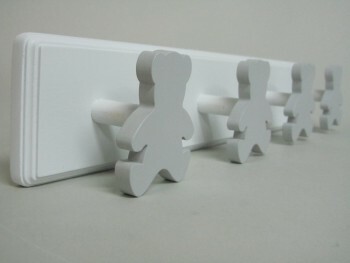 Protruding from the hangers placed on the wall 6 cm. 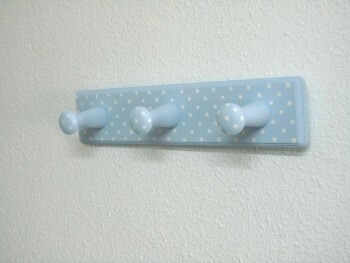 Measure 2 knobs 30x9x2 cm. Measure 3 knobs 40x9x2 cm. Measure 4 knobs 50x9x2 cm. 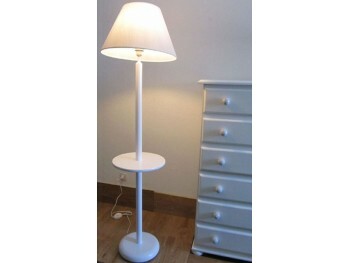 Child Lamp wooden tabletop with white balls L 28 cm. screen included. 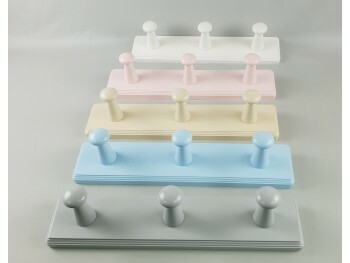 screen cylinder is available in 4 colors to choose Vichy blue, pink, gray and beige. Measure 20x15 screen - LIGHT 220 V. Max.60W, no bulb included. 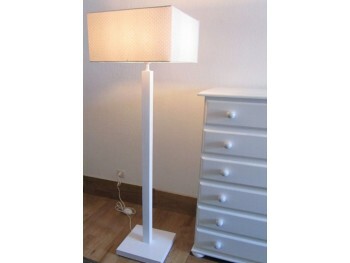 Child wooden desk lamp with white balls L 28 cm. screen included. 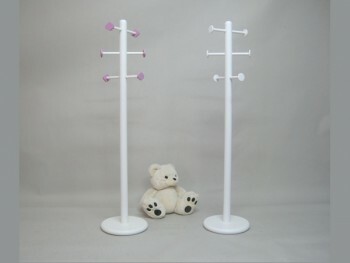 The screen cylinder form with CHILDREN'S DRAWINGS available in 2 colors blue or pink. Screen Measure 20x15 - LIGHT 220 V. Max.60W, no bulb included. 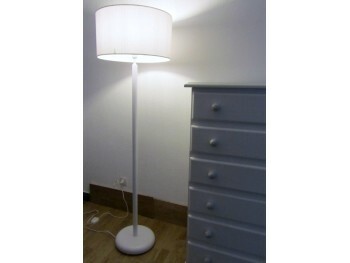 Floor lamp with round base balls white lacquered mtro L 1.35 This price includes a 40 cm screen. 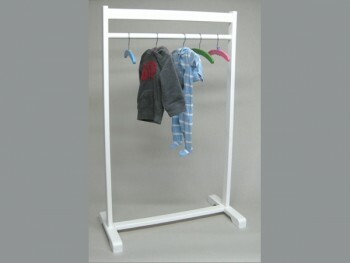 screen available in 2 colors to choose pink moon or blue moon. 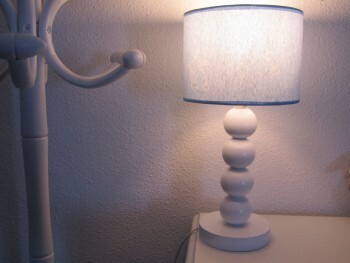 Round foot lamp painted white color. Price includes screen 45x25 cm. Cylinder shape in Grey with white polka dots. Also available with other displays to choose from. Measures: Base Ø 30 cm * 4 cm. Overall Height 1.35 thick mtro. Square foot chandelier lacquered in white. Price includes screen 40x40x25 cm. Square shape in Grey with white polka dots. Also available with other screens. Measures Base 30x30 cm * 5 cm. Overall Height 1.35 thick mtro.